Mumbai: Georg Jensen, an artistically gifted Danish boy from a working-class family who aspired to become a sculptor, grew up to be a silver smith and founded a fim that designed jewelry, flatware and hollowware that earned him international acclaim and significantly influenced the direction of decorative arts. 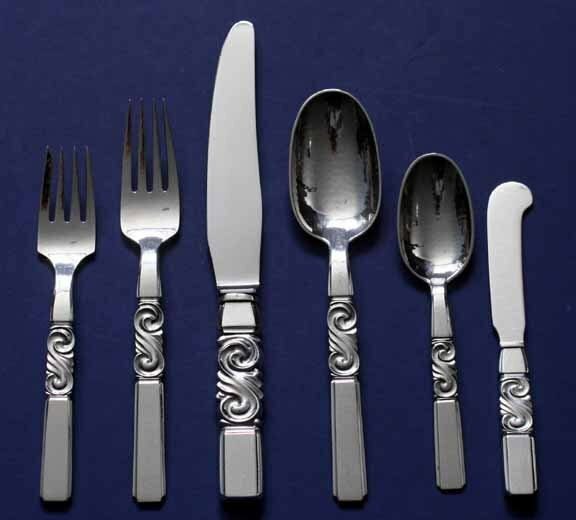 The ‘Scroll’ or ‘Saga’ pattern is one of the most rare and significant patterns in the Georg Jensen flatware line. It was designed in 1927 by Johan Rohde for the firm in Denmark. This pattern is very substantial and requires a lot of hand crafting. There is a high relief scroll pattern at the center of each piece’s handle, as well as an all-over hand hammered finish. The set being offered at Saffronart’s Travel & Leisure auction is in excellent condition. It includes dinner knives, butter knives, dinner forks, teaspoons, tablespoons and dessert/salad forks. Along with this set, other beautiful Georg Jensen flatware and hollowware will be available as part of the auction, scheduled to take place on the Saffronart website on 29-30 July, 2013.